You are here: Home / Puppy Health & Care / My Dog Has Never Been Vaccinated – Does It Matter? My Dog Has Never Been Vaccinated – Does It Matter? I was asked an important question recently. “My dog has never been vaccinated. Do you think I am taking a big risk” The person in question was struggling to meet their bills, and vaccinating the dog just wasn’t top of their list of priorities. For some pet parents, vaccination itself seems like a big risk and may be deliberately avoided because of the perceived risk of side effects. It is only natural that people will be concerned about vaccinating their new puppies. And natural that we are interested in alternatives to vaccination for our puppies. Because vaccinations are not entirely without risk. Putting a potentially dangerous substance into a perfectly healthy puppy can seem counter-intuitive. And some of us will be tempted to consider other, less intrusive, and more natural, alternatives. For some of you, some or all of, your puppies shots will be compulsory. It depends on the state or region you live in. It is inviting to imagine that a puppy left to its own devices, properly fed and cared for, will develop its own natural immunity. But the truth is that immunity is more complicated than that. Like all mammals, dogs develop immunity to diseases that they have been in contact with. When a pathogen such as a bacterium or virus enters your dog’s body, usually through his mouth or nose, it begins to multiply. When your dog’s immune system has recognized the presence of an invader, it begins to manufacture antibodies to combat the disease. Sometimes, a dog will develop enough antibodies to over power a disease, even a serious disease, without becoming obviously sick in any way. We know this because we can find antibodies in the blood of dogs that have not been obviously ill.
Interest in raw meat for dogs is growing steadily. But is it really safe? Should you feed your dog on a natural raw diet? That’s because this process of building antibodies takes time, sometimes many days. If the illness is a mild one, the puppy or adult dog makes enough antibodies to kill the invaders, before they do much harm. Kennel cough is a disease like this. Most healthy dogs will make enough antibodies to fight it off, before the disease does much harm. With more serious diseases, or if an animal’s health is already compromised, this system may fall down. If a puppy cannot make enough antibodies in time to combat a disease, the disease will overwhelm him. A vaccine works by giving the puppy some harmless material associated with the disease – which the puppy’s body recognises as an invader. The puppy’s immune system then leaps into action and generates antibodies to fight that disease. Relying on a dog’s natural immunity is a hit and miss affair. Not many dogs have an immune system that can stand up to serious infections such as distemper or rabies. And at the time of writing, we have unfortunately not found any alternative way to kick start a body into generating the necessary disease fighting antibodies. Improving the dog’s overall health and well being can make sure that his immune system is in tip top condition, so that it generates antibodies rapidly and effectively. But the catch here is, the best immune system in the world cannot instantly create antibodies to a disease that it has never met before. And the worst diseases will overpower the vast majority of dogs that are unvaccinated. The process of recognition and repair takes time. This is why we need an effective system to protect our puppies from dangerous diseases. What about holistic, herbal, and homeopathic remedies? Because vaccinations are not one hundred percent safe, many people are hoping for an alternative. And they are attracted to holistic, herbal, and homeopathic alternatives to mainstream medicines. But can these protect our dogs against serious diseases? [wp_ad_camp_4]Holistic medicine involves looking at the whole patient. Taking into account the patient’s lifestyle, general health, environment etc. It means treating the patient as more than just a set of symptoms. Some vets describe themselves as holistic vets but the truth is that all good vets and doctors are holistic. No medical practitioner should be treating symptoms without considering all the other things that may impact on a patient’s health. Many people expect a specifically holistic vet to offer alternatives to mainstream medical treatments. Alternatives like herbal remedies, and acupuncture. Unfortunately, neither herbal medicine nor acupuncture offers an alternative to vaccination. You will also find a few vets (not many, and the number is diminishing) that still practice homeopathic medicine. Some homeopaths do offer alternatives to vaccination for your pet, and you may be tempted to go down this route in order to have a treatment that is entirely free from side effects. Let’s look a little closer at that. When homeopathy was invented in the eighteenth century by Samuel Hahnemann. Three centuries ago, it was no less plausible than the other medical philosophies of its time. How it survived and became resurrected in the present day is perhaps more of a mystery. Homeopathic remedies claim to work by curing like with like. In other words the remedy is a tiny amount of a substance that produces the same symptoms in the body as the disease we are trying to fight. If your dog is vomiting, for example, the homeopathic remedy would contain a substance that induces vomiting, in the hopes that this will encourage the body to fight the symptoms. In theory of course, this could end up causing twice as much vomiting as before! But homeopathic remedies have no troublesome side effects at all. Which sounds great doesn’t it. But the reasons that homeopathy has no ‘side effects’ is because sadly, it has no ‘effects’ either. This is because Hahnemann devised a system of dilution. He diluted his original remedy source. Not just once, but over and over again. One of the principles of homeopathy is that the more dilute the substance, the more powerful it is. In the eighteenth century this might have been believable. But nowadays we know for a fact that the more dilute a substance, the less powerful it is. Larger doses of drugs have more powerful effects. What is more, homeopathic remedies are so dilute that in fact, they contain no trace of the plant or product that they are supposed to be derived from. They consist entirely of water or sugar. Which is why they have no side effects, whatsoever. It is also why they are completely ineffective. In short, homeopathy doesn’t work. It has no side effects, because it has no effects. It has been thoroughly and firmly discredited, over and over again, both by individual scientists and nationally by teams of experts from all over the world. Including the House of commons Science and Technology committee in the UK in 2010, and more recently by the Australian Government. My dog has never been vaccinated – what are the risks? So, if there are no effective alternatives to vaccination, and you have a choice as to whether or not to vaccinate your dog, what will happen if you choose not to? Let’s take a look at that. If my dog has never been vaccinated, what are the risks? Plenty of studies have been carried out in Laboratories showing that vaccines are effective at protecting dogs deliberately exposed to disease in a controlled situation. So we know that dogs are at greater risk of getting these diseases if they are exposed to them. What we don’t exactly know, is what the risk of exposure is, in the wider community. But we have some data which may help us get some perspective on this issue. A study carried out in Poland in 2002 for example, looked at distemper in vaccinated and unvaccinated dogs living in the city of Warsaw. They discovered that 66% of the infected dogs has never been vaccinated compared with 22% of infected dogs that had been vaccinated at some point. A study on Lyme Disease in dogs in Connecticut in 2005 showed similar proportions with 63% of unvaccinated dogs becoming infected, compared with 25% of vaccinated dogs. In the USA between 1971 and 1973 629 cases of rabies in dogs were reported and 90% of these occurred in unvaccinated dogs. Vaccine failure occured in 21 cases but vaccinated dogs were many times less likely to become aggressive than unvaccinated dogs. So there was still a beneficial effect. The risks of rabies to humans is of course the reason that rabies vaccines are now compulsory in so many regions of the world. Vaccines are not perfect, we know that, but what they can do is reduce the level of disease in a community to a point where the disease no longer thrives and survives. In order for this level, known as herd immunity, to be reached we need a large proportion of the community’s dogs to be vaccinated. The problem is, we don’t know exactly what that level is in any given area, and we don’t know when it is reached. Puppies that are not protected by vaccination are at greater risk of contracting a serious disease. We can’t tell you exactly what the risks are because these vary from year to year, and from region to region. And because not every dog will get sick when exposed to a disease. Some will simply develop immunity without showing any clinical signs of infection. Incidentally if you allow your puppy to be given homeopathic remedies, swallowing them will do him absolutely no harm whatsoever. But it is important to recognise that he too, will be completely unprotected from any disease. It will be just the same as leaving him unvaccinated. Indeed in a classic study, puppies exposed to parvovirus after receiving homeopathic treatment all died. Unprotected puppies may survive without vaccination. There is no doubt that many unvaccinated dogs do survive and thrive. We just can’t be sure that your puppy will be one of them. It depends entirely on the level of disease in your community. Some people do choose not to vaccinate their puppies. Many of us feel that this is a very risky strategy, but it is their choice. At one time, widespread over-vaccination was common with vets giving all dogs a full dose of every vaccine every year. This is less common now, and most vets do follow the World Small Animal Veterinary Association guidelines on vaccine frequency. 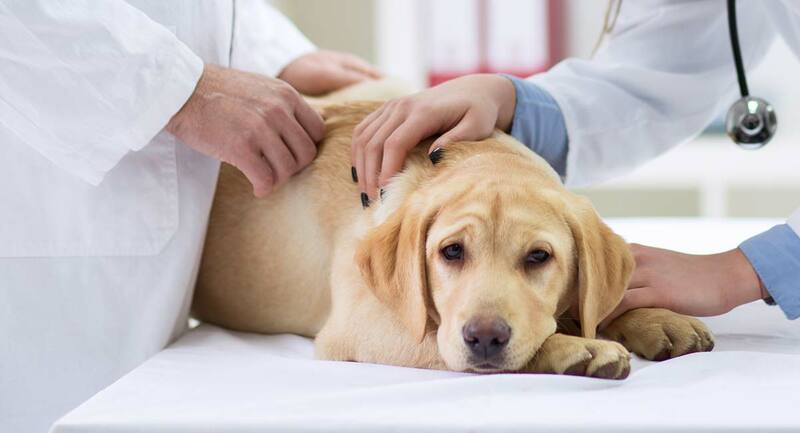 One way to check whether or not your dog is still immune is to have antibody titres taken. This involves taking a small blood sample from your dog. Then having it sent to the laboratory to find out if he still has immunity to diseases that you are considering vaccinating against. Have a chat with your veterinarian if this is something that interests you. If you are worried about vaccine safety you might find it helpful to read an article on this topic that I published a while ago on The Labrador Site. I don’t believe in playing down risks, but rather in giving people the facts so that they can choose for themselves. Happily, while risks do exist, modern puppy vaccines are for the most part extremely safe. Despite the huge progress made in the last hundred years, science has so far failed to cure all our ailments. And it is only natural that people search for alternatives. And vaccines are expensive, so avoiding them is tempting. Some alternative treatments undoubtedly have effects on our bodies, and many modern medicines are of course derived from ancient herbal remedies. But at the time of writing, there is not yet any effective alternative to vaccination. If vaccination is not a legal requirement in your area you will need to chose between vaccinating your puppy, or leaving him unvaccinated. Like all effective medical treatments, there is a small risk of side effects to vaccination. But in most dogs these effects are minor and inconsequential. Especially when compared to the benefits that are offered in terms of protection from some very serious diseases. And while annual vaccination is a significant financial cost to consider, the cost of caring for a sick dog would be far greater. Vaccinating your puppy also provides protection to the wider community of dogs because it builds and maintains herd immunity. It therefore benefits dogs all around you, as well as your own special friend. I have a one year old shitzhu and hes never been vaccinated yet,except anti rabbies thats the only shot i gave….my shitzhu just like me being an introvert seldom go out Oscar (my shitzhu) and i are always inside our house ,will that be safe enough? I read that dogs often (but not always) have life time immunity after vacination for parvo, distemper and rabies. Not lyme or lepto, But my doctor was insisting I get a titer every year and so expensive, Finally he checked research and found that the titre is valid for three years at least So to be very safe one can titre every 3 years (not rabies of course because of the law). I thought it was interesting that you mentioned that dog can develop immunity to disease. We have a new puppy and are trying to decide what vaccines we should give her. While I like the idea of not giving her any shots, I do want her vaccinated for rabies, at the very least. have your puppy vaccinated for parvovirus as well. I had a four month old puppy twenty something years ago and he got infected with parvo and died within a week. it was very painful to watch cause he pretty much bled to death. I lived in Europe and in those days not too many people knew or cared about vaccinating their dogs. as the article said, it’s cheaper to pay for vaccines then spending a huge amount of money to cure your pup later on. That’s so interesting that 66% of dogs with distemper in a study weren’t vaccinated compared to the 22% who had the disease but were vaccinated. I have a little Shih Tzu named Lacie. Lacie has been with me for a few weeks now, and she didn’t get her shots before. She’s still a little puppy, so I should really find someone to vaccinate her now. That way she’ll be less likely to get diseases like distemper. How did vaccinated dogs get distemper??? ?